The publication of the Encyclical Caritas in Veritate is an important event for Christians and for civil society. On one hand, it continues the social teaching of the Church and of the popes, beginning from Rerum Novarum (actually, much earlier as the Social Doctrine of the Church (SDC) begins with the Gospels, continues with the Fathers and the great charisms up until today). On the other hand, it represents an important innovation in the way to treat the market, economy, and civil life in general. 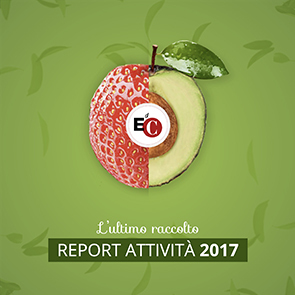 Among the many important and relavent themes of the Encyclica, I would like to focus on two. First of all, Benedict XVI reevaluates and re-launches into current debate the great social teaching of Paul VI. Already in the introduction, he mentions that the SDC has among its major milestones not only Rerum Novarum but also Populorum Progressio, which represents the other great event on which rests the social teaching of Post-Vatican II. This inheritance and re-emphasizing of Populorum Progressio is not only due to the recent fortieth anniversary of Paul VI´s encyclical. Above all, it is a result of Benedict XVI´s explicit will to re-launch the major themes of capitalism, world justice and the development of peoples in the SDC. "Development is the new name of peace", was the major theme of Populorum Progressio, which, together with the universal distribution of goods and the need to match solidarity with economic growth, represented and represents the pillars of the Church´s economical-political ethic. Therefore, the bringing back of themes of progress as a central discussion point, during the age of globalization, means once again giving centrality to the critique of capitalism within the SDC. So, here is how we can summarize the first point of the Encyclical: if we want to safeguard the contribution of civilization typical of civil tradition and market ethic (which are also fruit of Christian humanism), there is increasing urgency for a critique of the capitalistic form which the market economy has taken on in the last two centuries. In other words, who, like the Church, appreciates and values the market economy (especially when compared with other forms like communitarianism or hierarchical-feudal economy), should severely critique the arrival of a market society. That is, they should make a harsh analysis of communal life regulated only by the market and by its mechanisms and instruments (competition, incentive schemed contracts, etc.). Without market, there is no good life. If we have only market, life is even less good, since other principles and basic mechanisms of communal life, like gift and reciprocity (usually not linked to contract), become marginalized and atrophied. The second point is closely connected with this first point and is stated in the first few lines of Encyclical. Benedict XVI affirms that caritas, love (eros, philia and agape), is fundamental in both the spiritual, ecclesial, and communitarian life as well as in economic and political life. This "gives real substance to the personal relationship with God and with neighbor; it is the principle not only of micro-relationships (with friends, with family members or within small groups) but also of macro-relationships (social, economic and political ones)" (n. 2). This phrase, in my opinion, has the capabilty of being revolutionary. In fact, one of the great constants that dates back to the Greek and Roman world, is a dicotomous vision of life: body - soul, spiritual - material, contemplation - practice, eros - agape. This binary or dualistic vision is very strong even today in the economic and civil spheres, when the opposition between gratuitousness and market, gift and economy, is affirmed in theory and practice. The pope calls us back to this new unity, even in his previous encyclicals: it´s love, that very love which can and should inspire gift and contract, family and business, market and politics. And so, the entire third chapter of the Encyclical covers the need to reunify life. It puts the Incarnation at the very heart of the Christian message: the incarnation of the Word definitively conquered the separation between sacred and profane, between completely human spheres and non. And it is possible to reach the good life, sanctity, certainly in the contemplative life and through prayer, but also as entrepreneurs and workers, or by committing oneself in politics for his people. It can be understood, then, that if love is the source of both gift and contract, one can love even while fulfilling a contract. Gratuitousness should not be associated with "free" or gift (as in a present), but as one dimension that accompanies all human actions, and that we can and should therefore rediscover in ordinary life. Added to this discourse are the themes of profit and of enterprise, central to the chapter on market. If gratuitousness is the basic dimension of the human, it is coherently deduced that profit cannot be the goal of enterprise, of any enterprise, and not just non-profits. When this happens (as in the recent financial crisis), everything about economic activity and enterprise becomes an instrument: people, nature, relationships, and nothing has intrinsic value. And so, we surpass the second great dicotomy in current economics: non-profit businesses, for-profit businesses, or the idea of the third sector. Therefore, every business, for the fact of being such, has a civil vocation and not only those businesses in the third sector or non-profits. Then, the pope makes reference to the civil economy and economy of communion (n. 46), whose significance can be caught within the complex framework of the Encyclical. In the introduction, the pope asks how to update the questions and challenges of Populorum Progressio (n.8). In the light of this Encyclical, the idea that development is a necessary condition for peace remains current. However, in these forty years we have understood that economic development is not enough to avoid wars (as was very clear during Paul VI´s time). What´s needed is a communion of goods, the solidarity among peoples. Recent wars and terrorism exhibit the unsustainability of a capitalistic system that produces growing inequality. "Communion is the new name for peace", to put one of the Encyclical´s main messages in a few words. And in the upcoming years, this message will also be the challenge for the economy and for peace, and should involve the G8 and world´s big figures in first person. In these days, what comes to my mind are a few personalities that would have loved this Encyclical: Luigi Sturzo, Luigi Einaudi, Adriano Olivetti – even Adam Smith and Antonio Genovesi – to say, all who love man and even the market as expression of humanity and of the good life.